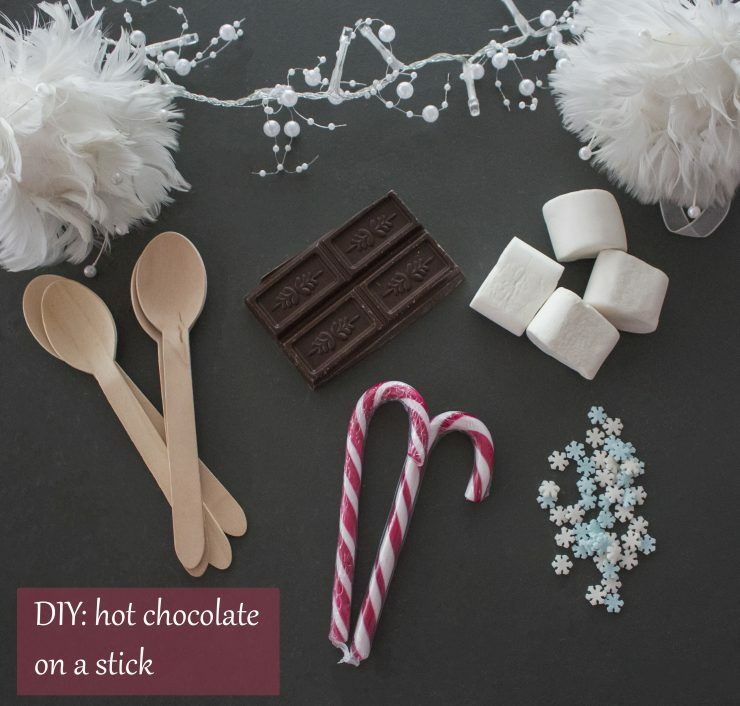 How to make your hot chocolate on a stick? – Melt the chocolate au bain marie. – At last you can add the decoration items and let the chocolate become hard again. That is it! I used mini marshmallows, candy canes and sugar snow flakes as decoration items! And I really love how the candy canes looks! And now you can enjoy your hot chocolate while you let the chocolate stick melt in a hot cup soy or normal milk. These spoons are so cute to give as a little gift or with the dessert at Christmas! 😉 This is just the perfect winter treatment! It looks so cute and I find it handy to make hot chocolate like this! Oh dit is ontzettend leuk zeg! Ik heb dit toevallig deze week ook gekocht en ik kende dit helemaal nog niet haha!